We have ten air-conditioned meeting rooms in our area. All rooms have free Wi-Fi and natural light. Of course our venues are all blackout. 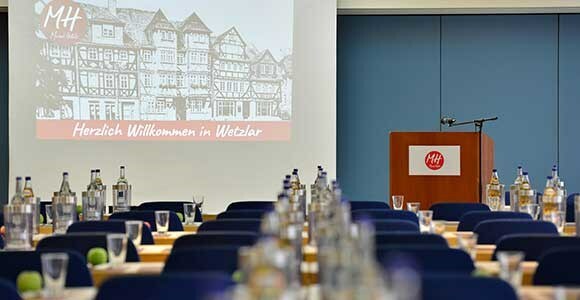 With Wetzlar' s largest range of events in a hotel, we can accommodate up to 400 persons for business or private events on up to 1100m² of event space. The event area on the third floor has a total of seven meeting rooms and is accompanied by the large event management, where you can strengthen during a break. All rooms have a ceiling height of 2.50m in the outdoor area and 3.00m in the indoor area. The rooms are timelessly tiled and have ISDN connections. Through the ground-level entrance of the hotel on Friedenstraße, you can easily access materials or exhibits. For example, various vehicles from the vintage car to the limousine have already found a place in the event area. Thanks to our variable wall system, we can connect the rooms with each other or even open them completely so that a floor space of 1100m² is created. The largest possibility of a closed room on this floor has about 600m² floor space and space for up to 350 people. In the meeting area on the sixth floor, there are three other rooms. Also these are air-conditioned, have free W-Lan, daylight, and are black-out. Due to the quiet location in the hotel, trainings can be carried out easily with subsequent examinations. With the smallest event space on a 36m² floor space, individual discussions or examinations can also be held without feeling lost in a normal meeting room. 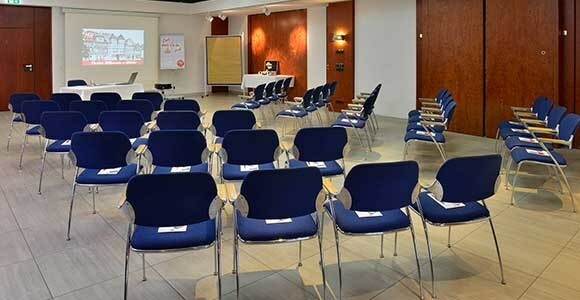 With 10 very well equipped conference rooms and conference rooms for up to 400 people our hotel offers you optimum conditions for the professional realisation of seminars and congresses. But also for private celebrations - whether wedding, communion, confirmation up to the baptism or the private birthday receipt - we are the right address. Profit from our professional conference service up to the Full-Service-Catering and the central situation of our house, only 10 walking minutes away from the picturesque Old Town. 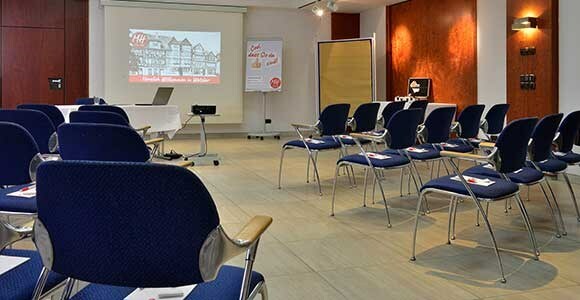 Round your event elegant - with an unforgettable supporting programme in the charming city of Wetzlar. 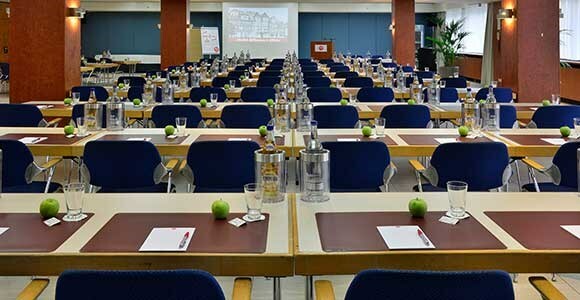 With 10 very well equipped conference rooms and conference rooms for up to 400 people our hotel offers you optimum conditions for the professional realisation of seminars and congresses. But also for private celebrations - whether wedding, communion, confirmation up to the baptism or the private birthday receipt - we are the right address. Profit from our professional conference service up to the Full-Service-Catering and the central situation of our house, only 10 walking minutes away from the picturesque Old Town. Round your event elegant - with an unforgettable supporting programme in the charming city of Wetzlar. 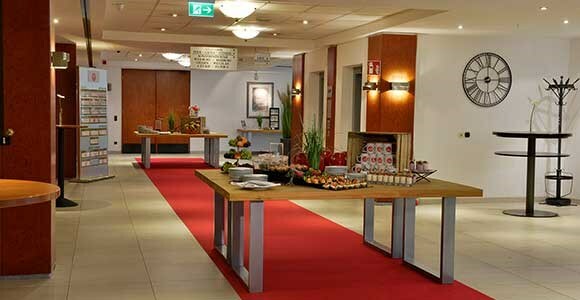 Our spacious conference foyer offers plenty of space for relaxed coffee breaks or accompanying exhibitions. For entertainment during the breaks, the billiard table or table football offers you a lot of fun! 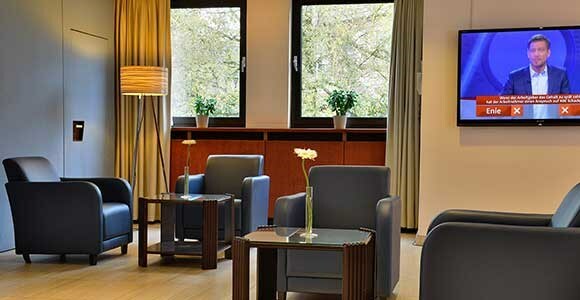 Many services around your meeting room or the physical well-being are already covered. If you have any further wishes or requirements for your meeting, this is easily bookable. Of course, we also work out an individual offer for you. All our conference packages already include our standard technology, which consists of a projection table, screen, flipchart, pin board, as well as pens and blocks. With the booking for 10 persons of a conference package, the space charge for your room is not applicable. Provision of your meeting room including standard technology. Mineral water and apple juice scramble unlimited in the meeting room. A relaxing coffee and tea break with biscuits, fresh fruit and snacks. Lunch or dinner in our restaurant as a three course menu with main course, or as a buffet according to taste of the kitchen including a small soft drink. A relaxing coffee and tea break with biscuits, fresh fruit and hearty snacks in the morning<.br /> Lunch in our restaurant as a three course menu with main course, Or as a buffet according to taste of the kitchen including a small soft drink. A relaxing coffee and tea break with biscuits, fresh fruit and sweet snacks in the afternoon. 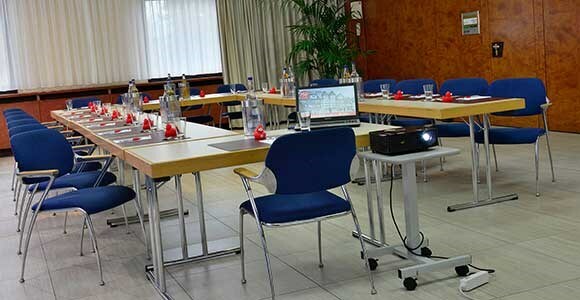 Provision of your meeting room including standard equipment and a projector. Welcome coffee and tea with wonderfully fragrant fresh croissants or lye pastries. A relaxing coffee and tea break with biscuits, fresh fruit and hearty snacks in the morning. Lunch in our restaurant as a three course menu with main course, Or as a buffet according to taste of the kitchen including a small soft drink. Dinner in our restaurant as three-course menu with main course, Or as a buffet according to taste of the kitchen including a small soft drink. We will be pleased to provide further conference technology for availability and fees. Our meeting rooms are perfectly equipped for you. You can hold small meetings up to the large congress on up to 1100 m² of the entire event area. The foyer is also suitable for accompanying exhibitions or the break-out. Our customers rely on our professionalism and are glad to be our guest! Of course, I would like to thank you most sincerely for the excellent orientation of the TK Hesse Annual General Meeting. It all worked out wonderfully and we were very satisfied. We will be happy to organize further events with you. "For the hospitality given to us in the context of the above-mentioned meeting, we would like to thank you and the entire team of the Michel Hotel Wetzlar for the good preparation and conduct of the entire meeting. 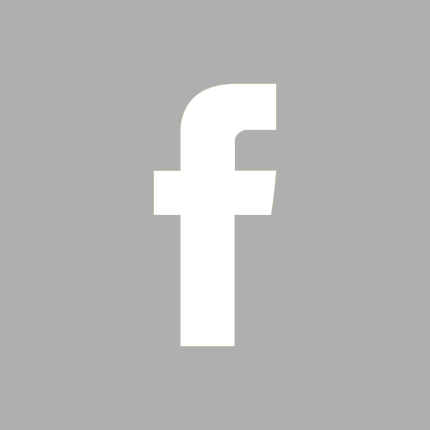 The appealing atmosphere in your home as well as the friendly staff contributed to the fact that all participants in Wetzlar felt very comfortable. " "One of the rooms and service for us optimally run event! 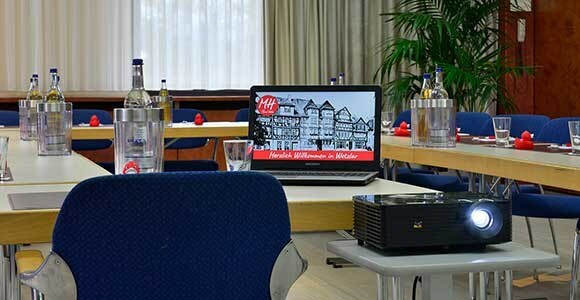 In all respects, the Mercure-Hotel Wetzlar is only recommended for the organization of such an event, support, assistance with unforeseen technical details and the course of the event was excellent Is already being planned. "